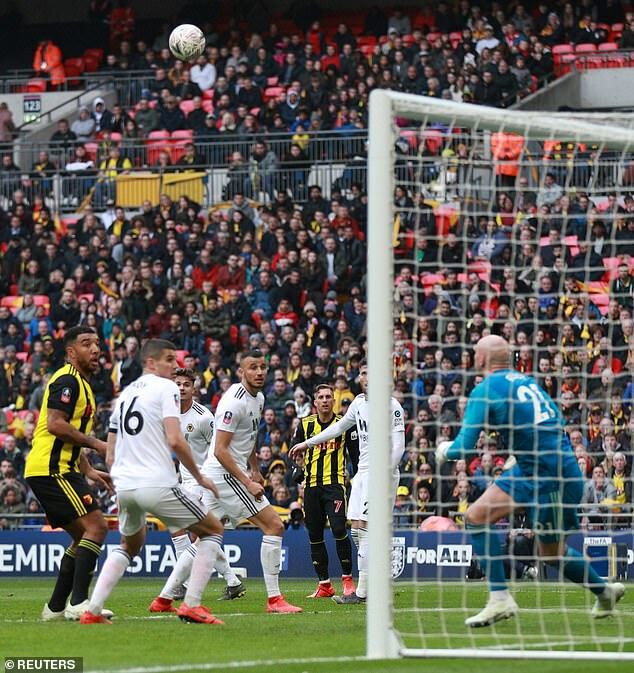 Gerard Deulofeu scored one of the most incredible goals the new Wembley has ever seen in Sunday’s FA Cup semi-final win for Watford over Wolves. The impudent chip was all the more impressive as it launched the comeback for his side at 2-0 down. So where does Deulofeu’s brilliance rank for Sportsmail among the top ten goals scored under the arch? (England and Tottenham home games don’t count). A fresh-faced Lingard came off the bench and smashed home the goal that won his boyhood club the FA Cup. He’s since gone onto the dizzy heights of a World Cup semi-final with England, an achievement on par with sneaking into our top ten for his sharp reaction and thunderous effort. United were reduced to ten men but fought back to win a game as memorable for Alan Pardew’s sensual touchline dancing as the result itself. This was a belter. 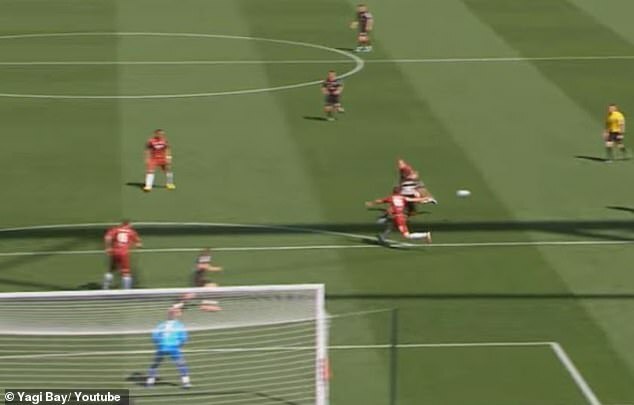 It was like trying to follow an ice hockey puck after Odubajo made contact. 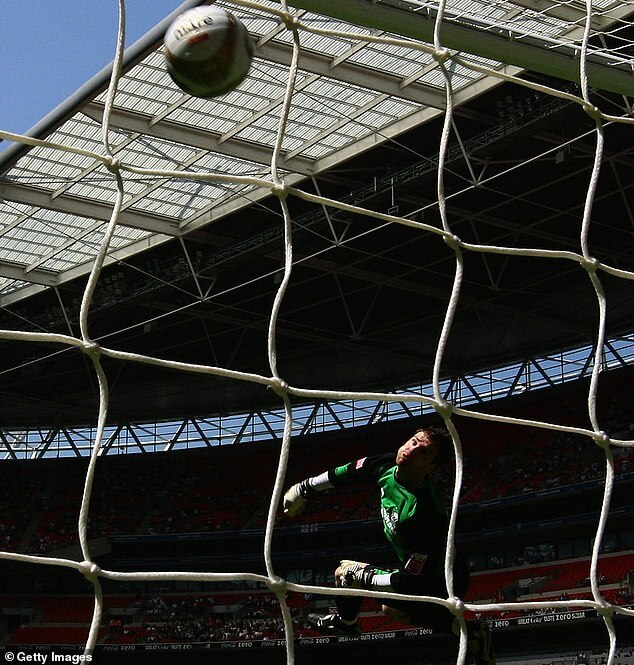 His strike for Leyton Orient flew past Adam Collin and the goalkeeper turned around in disbelief at what he’d seen, or rather didn’t see. Ultimately Rotherham fought back and won on penalties so Odubajo’s goal wasn’t garnished with the silverware it deserved. The only set-piece to feature on this list. To be fair, this one from the diminutive Spaniard was a rocket. 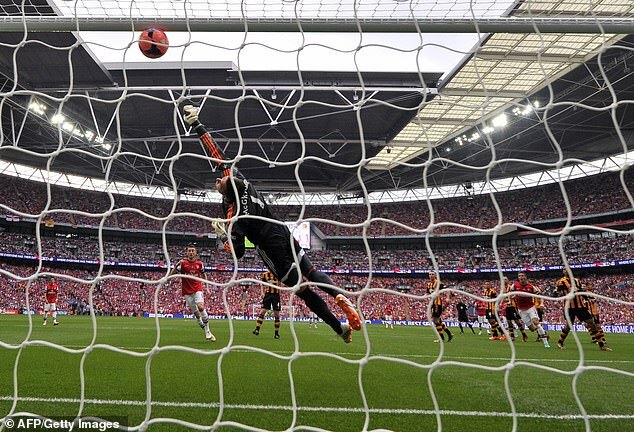 Hull had taken a shock 2-0 lead in the final and it looked like turning into a nightmare afternoon for the Gunners. 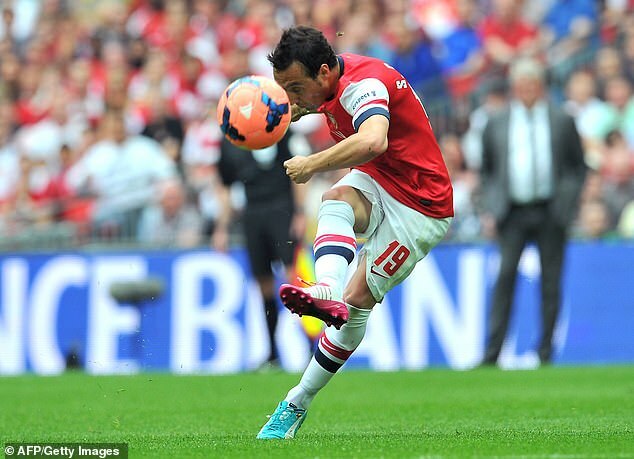 But 16 minutes in, Cazorla swung the momentum back with a cannon of his own, straight into the top corner. Aaron Ramsey’s goal in extra time will be remembered for winning it but it was Cazorla who sparked the turnaround. A vintage Drogba goal. The Ivorian backed into William Gallas and collected Frank Lampard’s raking ball from deep inside the Chelsea half. The powerful forward then rolled his man with a clever touch and bullied Gallas again, thumping his effort past Carlo Cudicini. 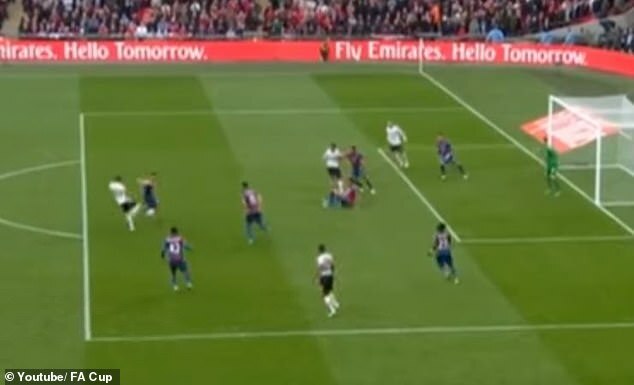 A couple of seconds before he scored, it looked like the Spurs defence had everything in hand but in a flash the net was bulging. This one is still relatively fresh in the memory, although Nemanja Matic was in the Blue of Chelsea before his move to United. Eden Hazard weaved a spider’s web around some Spurs defenders and teed up the Serbian with a perfectly weighted ‘come and smash me’ lay-off. 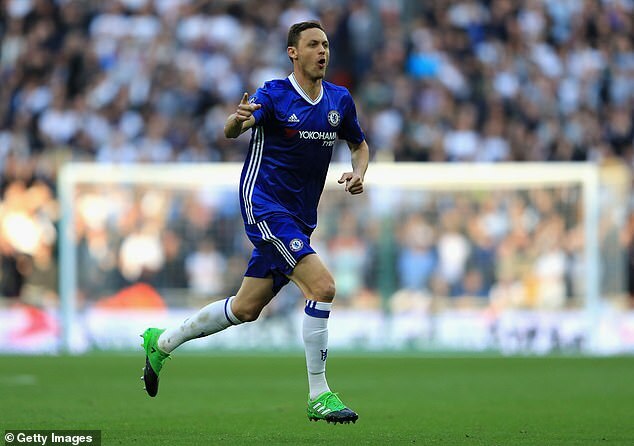 Matic duly obliged and the icing was put on the cake of Chelsea’s 4-2 win. I won’t be welcome in the city of Hull for slotting this down at No 5. Probably the most iconic goal in the club’s history, scored by their favourite son. Dean Windass settled the Championship play-off final and ensured promotion to the big time with one swing of his right boot. Frazier Campbell lifted his head up and the cross was perfection. Windass had all the time in the world to bottle it but kept his head, showed immaculate technique and further etched his name into Hull folklore with a goal worth £60million to his club. 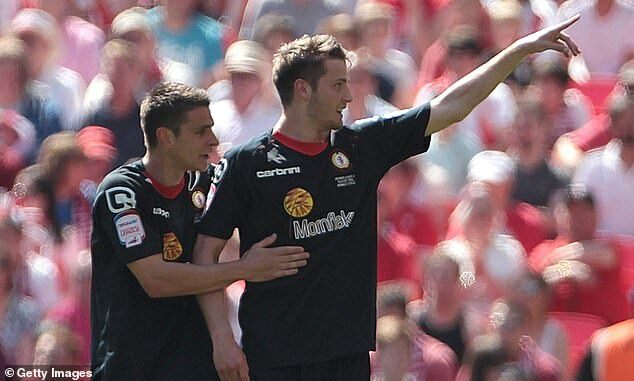 The former Manchester United prospect lit up the new Wembley back in 2012 with an unstoppable strike for Crewe Alexandra. The first touch was almost as accomplished as the finish. He used his instep to wrong-foot the defender, turn it around the corner and slash a finish into the top corner. Powell made a habit of scoring highlight-reel goals but hasn’t fulfilled his early promise and now plies his trade at Wigan. 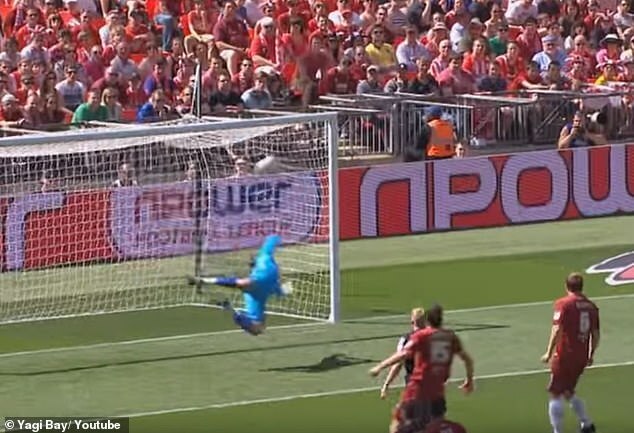 The audacity to try this and pull it off at 2-0 down in the FA Cup semi-final is astonishing. 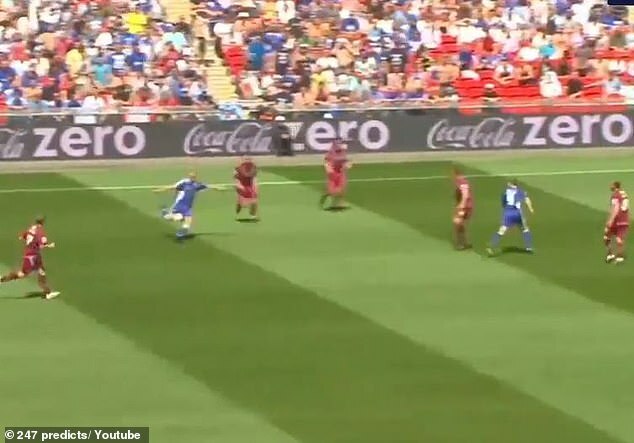 With Leander Dendoncker blocking the most obvious route to goal, Deulofeu used him as a mark to bend the chip around and John Ruddy could hardly believe it when the ball nestled in his top corner. 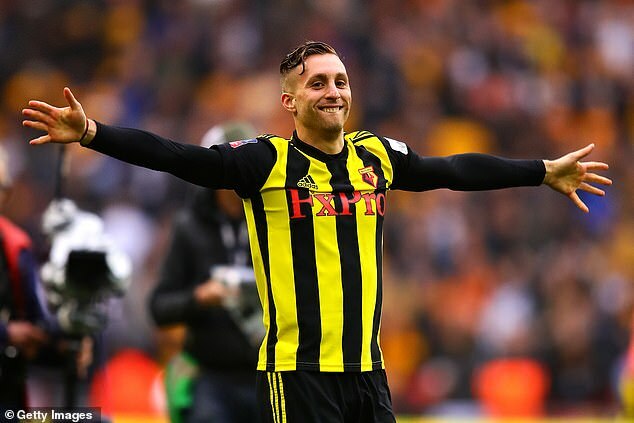 The fact that this one launched a remarkable comeback for Watford before he went on to score the winner in extra time also boosts it up to No 3 in our list. A true once in a life-time goal from Gary Alexander gives him the runners-up spot. With Millwall a goal down to Scunthorpe 10 minutes before half time, it seemed almost pre-meditated that Alexander wanted to have a crack from way out. He cushioned the ball down from a header on the left flank, miles from goal, let it bounce once before unleashing a ridiculous half-volley that sailed in. The afternoon was bitter-sweet for Alexander in the end. He scored a brace and had a chance to put the game to bed but missed and Scunthorpe came back to win promotion. This is one of those goals that seems to get better with every watch. 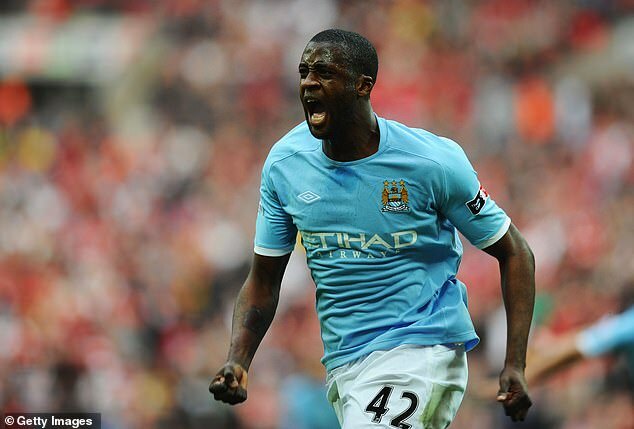 With City one down in the second half and unable to break Sunderland’s dogged defence, Toure ambled forward in that typically languid style. He exchanged passes with Zabaleta and on the return took one quick look up at goal from 35 yards out before whipping in his shot. At first it almost looked like a cross but the ball sailed over Vito Mannone’s head and from there, City never looked like losing. 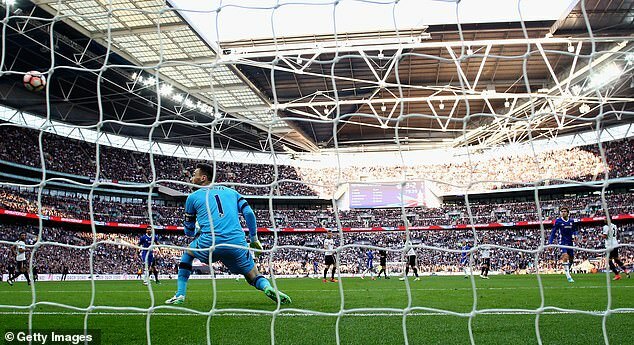 It was a special goal at the new Wembley and typical of the Ivorian who married such power with an unrivalled elegance and technique.